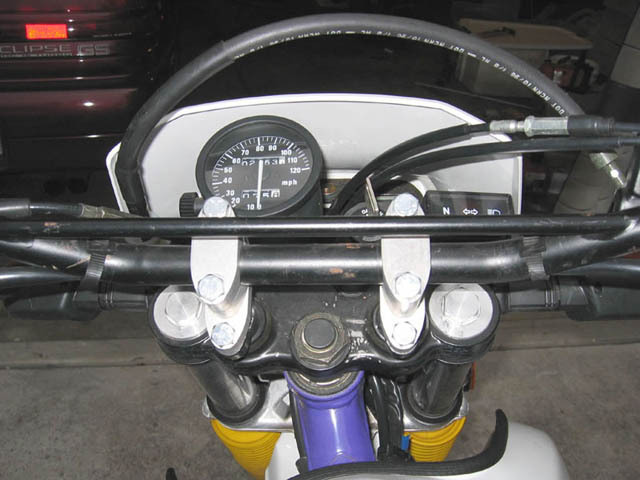 Advanced Motorcycle Products has two types of bar risers that will fit the DR650SE series of bikes. These bar risers will fit 1996-present DR650SE and most likely all older models. The first product is an offset bar riser that provides 1.25" of rise and 5/8" or 1" forward offset for the 7/8" risers. The FATBAR version has only one forward position. These risers are best suited for poeple who spend a lot of time riding in the dirt while standing. These make standing more comfortable and also move your center of gravity over the bars to make turning easier. 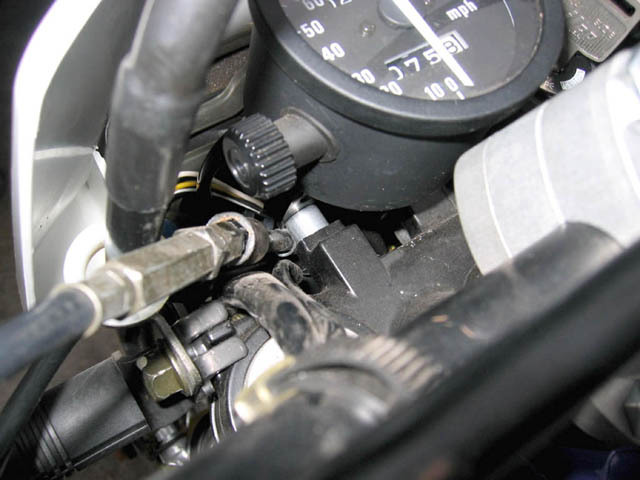 A speedometer relocation kit is required to move the speedometer forward about an inch. 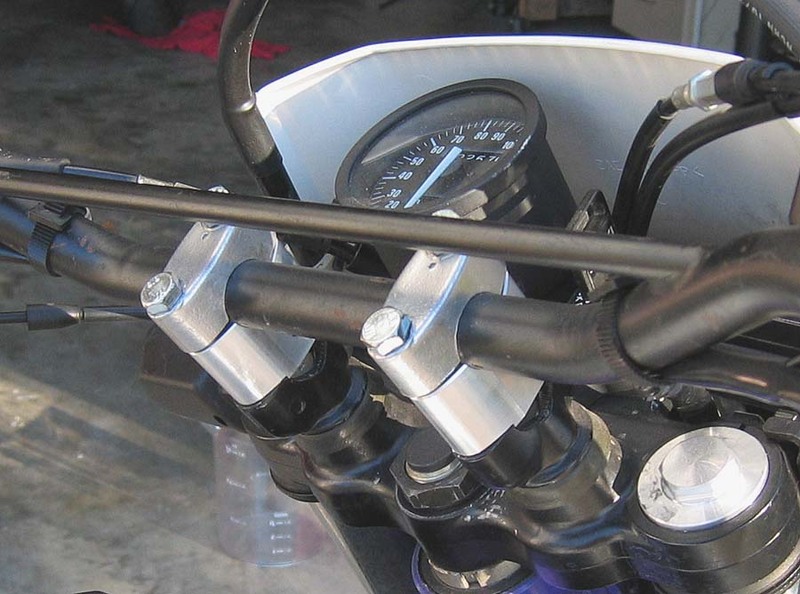 The second type of bar risers that fit the DR650SE are the zero offset type that provide 1.25 in of rise to the bars. These risers require no modification of instrumentation or ignition switch locations.